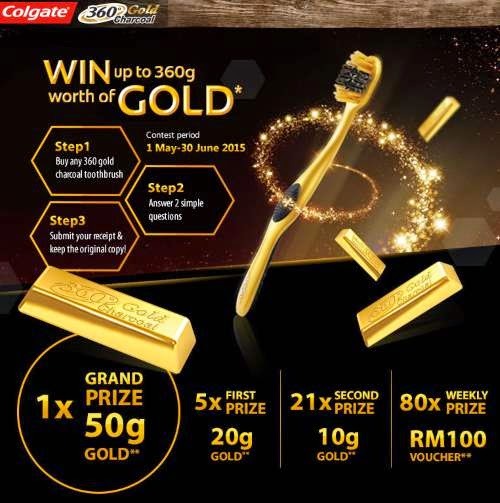 Buy any 360 gold charcoal toothbrush. Submit your receipt & keep the original copy! Visit Win with 360 Gold Charcoal Contest page for more details. SEE ALSO: 3 easy steps to win iPhone 6, GoPro or PS4!